2016 was a year to forget for Eddie Lacy. 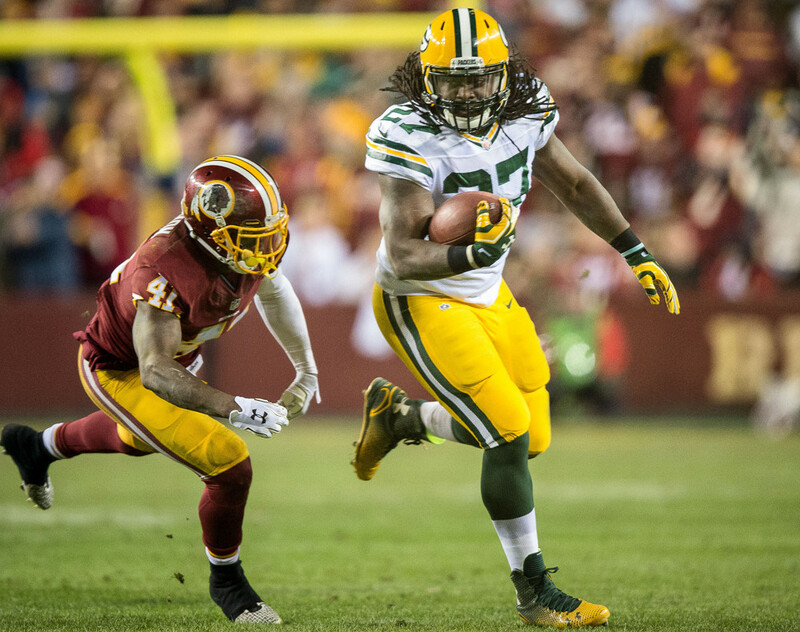 After battling weight issues during offseason, Lacy finished the year on injured reserve, playing in only five games. In these games Lacy failed to score a touchdown and accumulated an uninspiring 360 yards rushing. 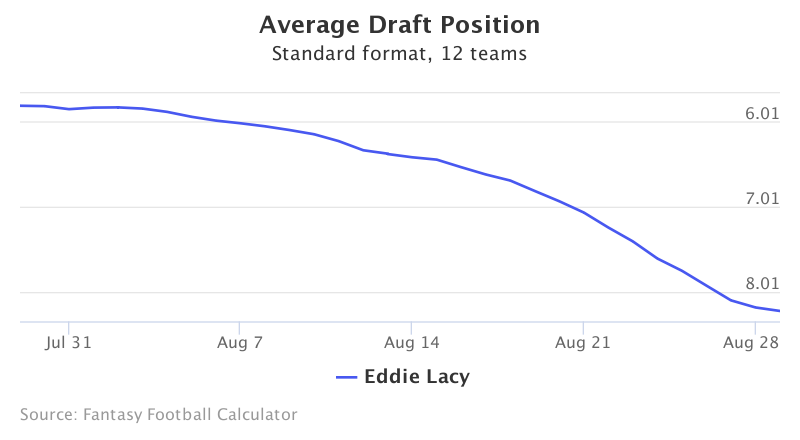 Lacy’s fantasy football ADP has fallen drastically over the last month from the top of the 6th round into the late 7th. Data is from 12-team standard mock drafts. Lacy is currently the 35th running back off the board, going at pick 7.08. Potential Running Back Competition in Seattle? After a departure from Green Bay, Lacy signed with the Seattle Seahawks this offseason. For the first time in his career Lacy will face significant competition for touches with Thomas Rawls and CJ Prosise. Aside from a potential touch squeeze, Lacy’s other question marks include his injury history and overall work ethic. Over his career Lacy has dealt with a slew of ankle injuries. One of which ended his 2016 season. In addition, Lacy let his weight balloon out of control during his time in Green Bay, reportedly reaching weights as high as 270 pounds. However, during his actual time on the field Lacy has been productive. He rushed for over 1,000 yards and caught at least 35 passes in each of his first two seasons in Green Bay. In limited time in 2016, Lacy proved to be quite elusive, forcing 19 missed tackles on 71 attempts. Moving to Seattle, he will be playing on a team that ranked top three in rushing attempts five of the last six seasons. Going at pick 7.08 in fantasy drafts, Lacy provides an interesting mid-round value. A few running backs drafted near Lacy include Frank Gore, Danny Woodhead, and Terrance West. Like the other running backs in this range, Lacy remains a dicey fantasy option. With pressure for touches on early and passing downs, Lacy may not return value even with his seventh round ADP without an injury elsewhere in the backfield. Be wary when considering Lacy in fantasy drafts this season.